SCV single family homes tick upward in August while condos hold steady. It’s been a rather interesting year real estate-wise here in the Santa Clarita Valley. The median price of a single family home started off the year at $432, 900, and, with a few fluctuations, the prices have continued to rise. The month of August saw single family homes in the SCV rise to $490,000. That’s a $57,000 rise in equity in 8 months. Think about it…$57,000 in 8 months. Condominiums, while on a slightly slower pace, still rose by $35,000 since January. When you consider the value of real estate, it’s hard to fathom any other low-risk investment that has the potential to increase this much in this amount of time. Yes, there may be others out there, but again, consider the risk. Of course, we usually think of real estate as a long term investment. It’s rare that anyone who may have purchased a home at the beginning of the year would simply sell to “cash in”, except for professional investors who have an eye for short term property turnovers. Then again, these investors do inherit a fair amount of risk, as short term strategies may take a turn in a direction that may not be profitable. We can look back at the early part of 2013 to realize how far we’ve come from the days of having less than one month’s supply of available homes for sale. 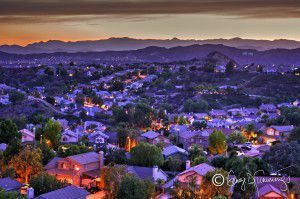 August saw just slightly over 900 available homes for sale in the Santa Clarita Valley, which is not quite the average, but even still, this rise indicates what we’d consider about 3 month’s worth of available properties. As in practically any other tangible item for sale, “supply and demand” also applies to real estate. One of the key factors in the growth in equity is that qualified buyers are still enjoying strong purchasing power thanks to interest rates still holding in the low 4 percent range. This is still helping to drive the market, but unless we see a significant drop in the number of available homes for sale, we may continue to see a more steady price index. If you’re curious to see the potential gains in the equity value of your property, just click here to request a Comparative Market Analysis that will help determine the fair market value of your home.